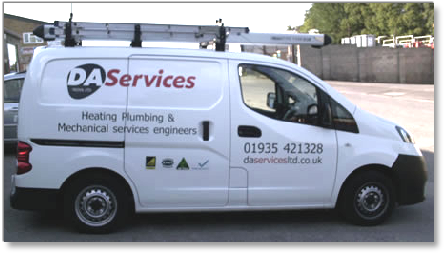 DA Services plumbers can oversee the supply, installation and repairs of Gas Boilers, Oil Boilers, Solar Heating, Ground Source Heat Pumps and Air Source Heat Pumps. When deciding on central heating and boiler servicing in Yeovil, you’ll probably want an exceptional and reputable company. There are many service providers to choose from for the regular maintenance of your central heating and boiler and, although it can seem daunting to choose one, it’s worth taking the time to do the research before making a decision. We cover all aspects of heating and plumbing installation, service and repair in domestic, commercial, industrial and local authority sectors in Yeovil and across the South West. Your needs are considered by our staff at all times.